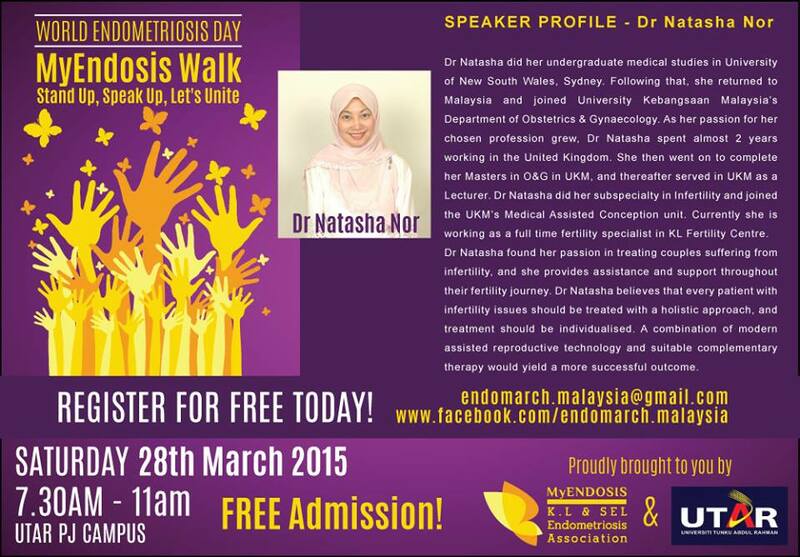 Are you suffering from Endometriosis and do not know what to do and where to turn to? 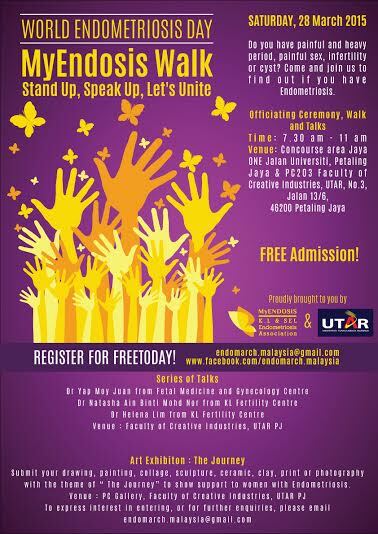 Selangor and Kuala Lumpur Endometriosis Association (MyEndosis) will be holding an event called ‘MyEndosis Walk: Stand Up, Speak Up, Let’s Unite’ on 28 March 2015 from 7.30am to 11am. The venue is at Concourse area JayaONE, Jalan Universiti, Petaling Jaya & PC 203, Faculty of Creative Industries, UTAR, No 3, Jalan 13/6, 46200, Petaling Jaya. 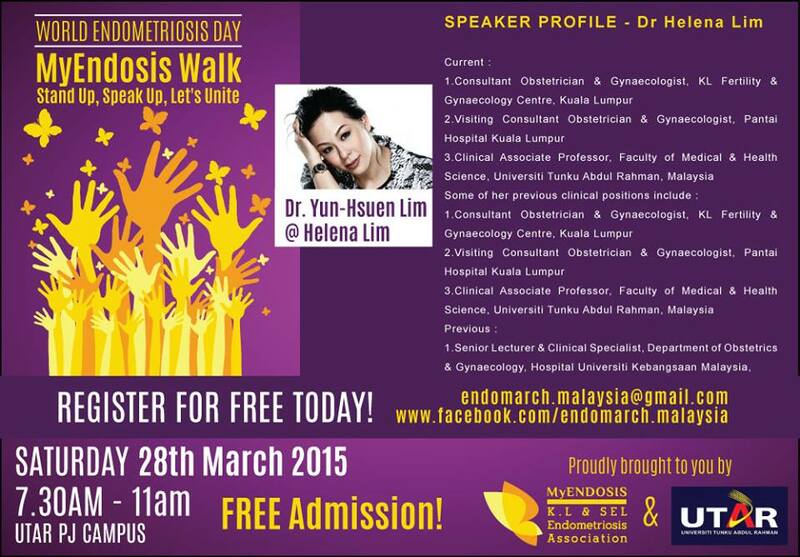 This entry was posted in endometriosis and tagged Dr Helena Lim, Dr Natasha Ain Mohd Nor, endometriosis, Fertility, Fertility & endometriosis, IVF & endomteriosis, My Endosis walk. Bookmark the permalink.